My debut novel, Past Tense, is out in the world for all to read! It’s been awhile since I have said hello here. Things have been a bit quiet this summer. Pushing through some personal issues, relaxing on the beach and seeking inspiration for all those words I love to write. The good mingling with the bad. I thought I would share my newest author pic with you, actually my only author pic. I like it. My fabulous husband took it, and I think he has a good eye. 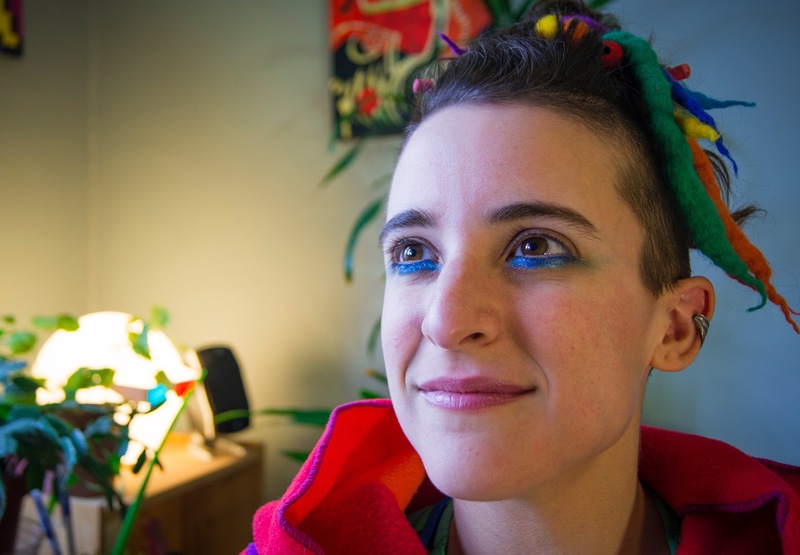 It feels weird to have an author pic. I suppose that makes me an author. It’s pretty exciting. Also I thought I would share my latest publication: ‘Green on the inside‘. I was thrilled to be published by Flash Fiction Online and not only that, but someone reviewed my story! Thrilling. My husband and I like playing role playing games. For those not in the know, role playing games (RPGs) are storytelling games where you create a character and someone narrates an adventure. I’m sure you’ve heard of Dungeons & Dragons, it’s the most popular RPG but by no means the only one. So Ben and I play these games together, sometimes with other people, but most often on our own and luckily for me, Ben is an amazing storyteller. Recently, we have been playing a game inspired by the awesome book ‘All My Friends are Superheroes’ by Andrew Kaufman. In this game I am a superhero—an empath named The Empath (or Em) and I do what I love to do in real life: try to solve people’s emotional problems. Ben takes on the enormous task of playing all the other characters in the game and he does an amazing job at coming up with tricky emotional situations to inspire me and make me sweat. The game is small and personal. Smaller and more personal than many role playing games you tend to see played. Often role playing games are massive, magical adventures in faraway lands, but our game is focussed on interpersonal relationships so there’s no demons to slay (except perhaps internal demons) or gold to be looted. And I love that about it. I’ve played many different role playing games before and this by far is the most challenging and the best. It’s emotional, realistic (with a hint of magic), in short it’s the kind of stories I like to write and therefore it’s the kind I like to play. For the first time in a game I have to face having romantic relationships and even though it’s Ben I’m having them with, because he is playing a character I don’t know that well it feels new and awkward and hard. I have a brother in the game too, which presents me with hard familial choices (he’s on the rocks with his wife who is also my best friend) and as I play a social worker who deals with Superheroes I am constantly encountering people who need my help in a way that often feels out of my league. I know, I know, it’s just a game. But because it is so small and personal it feels very real and because it’s just me playing the protagonist I want to do my best and help everyone in the best way I can. It’s intense. Ben’s been running games like this since he was twelve and you can tell. He’s awesome. And because he’s so excited about the art of role playing he’s started a site called RLXP. He has this theory that you can get some real life benefits from role playing and he wants to test that out. So every week we broadcast our games and talk about the real life feelings they inspired. It’s fun and awkward and I think it’s pretty interesting too. If you want to check out Ben in action and our games you can find all you need to watch us live stream at Ben’s website: http://rlxprpg.wordpress.com/. Also, you can follow him on Twitter @MrBadgerGM to find out when we’re online! I tend to be inspired by topics swirling around mental health: I’m interested in mental illness and its effects on people and relationships; I’m fascinated by psychology and states of mind that make people see and believe things that don’t align with reality. And because the maladies of the mind are so often my muse, I thought it was about time I wrote about my relationship with the my own mind as it relates to writing. Recently I was loosely diagnosed with SAD (Seasonal Affective Disorder). I say loosely because it wasn’t official, just a trend I noticed and spoke to my doctor about, who agreed that SAD could be the cause. The trend? Getting exhausted and depressed in the winter months. For example in the past two months my motivation has been drained and I’ve had real trouble getting out of bed (or wanting to do anything but sleep forever). It’s an awful feeling and in the depths of it quite terrifying because there’s a fear in there that things will never get better. I’ve started light therapy and that paired with the recent bloom of good February weather seems to have pulled me out of my funk. I’m full of energy now and back to writing (before I was only thinking about writing). Luckily in the depths of my listlessness I’ve still managed to keep up on some reading I’ve been doing as research for my next book. I’m reading a book called ‘Touched with Fire: Manic-Depressive Illness and the Artistic Temperament’ by: Kay Redfield Jamison. This book is completely fascinating and I mention it because it doesn’t only touch on manic-depressive illness, but also on SAD and the ‘artistic temperament’-the general trend of writers and other artists to follow seasonal patterns of productivity. According to the book many artists have seasonal periods of creation that align with the seasons in nature. Artists are cyclical creatures prone to productivity in certain months and less in others. It’s different for everyone when these peaks are, but they are present and have been studied. This idea relaxes me. Curious about the effects of the seasons on my own work I recently looked up each one of my novels to find the date in which I created the document to start writing them. The verdict: Spring and Summer (mostly summer). All of them. Not one of my novels was started in a winter month. Fascinating! For me, my cycles seem to be even more extreme, as during the times when I am truly active I write like there’s no tomorrow. I have been known to write most of my books in no more than three weeks, sometimes even two and any short stories come out fully finished in an hour or two tops. Pages and chapters fly by when I am in a ‘flow’ period and honestly I love it. I like to get things done quickly and to leave the rest of my time for thinking and planning my next piece. So what’s the point of me writing all of this? I want to say I’m relieved. These cycles and seasonal ups and downs can seem strange and confusing when you think you’re alone. But reading about other artists and writers who share this cyclical spirit makes me understand myself a bit better and want to give myself more leeway when I’m not writing or inspired every hour of every day. As issues of mental health are my muse, they can also be my comfort as I ride the waves of my creative productivity and try to make sure I’m being kind to myself. I also want this to be a reminder to be kind to yourself too. Give yourself space if you need it and don’t push too hard. Have you noticed any cycles to your writing life? I would love to hear about them! RIP Bill Rundle/Paul Valliere, you will be missed. dreaming the very last dream. at the thought of all that missing red spectrum. 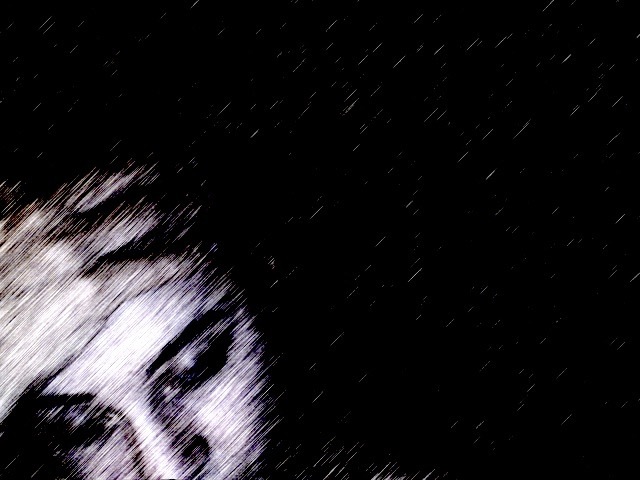 through the dark corners of your mind. all dancing, singing, calling you home. I would give you every one as your last. and I said I felt the same about you. I’m excited to announce that my story ‘Amako‘ is now available for purchase at Found Press, a delightful online publisher with a fabulous library of short stories from many outstanding and talented writers. My collaboration with Found Press has been amazing, this is definitely the first time I’ve had a story completely edited head to toe with the help of an editor (a very talented one in fact – Byran Ibeas). We bounced the story back and forth many times and Bryan made loads of amazing suggestions that I feel polished my story into a gleaming sea pearl. It was an exciting process because editing is awesome. It’s an art in and of itself (as I have been learning from the ongoing editing of my debut novel with my lovely agent) and if you are working with the right person it can be a fun learning experience. I loved getting the benefit of Bryan’s perspective and I walked away with a much better story because of his editing wisdom, thanks Bryan! Another thing that’s exciting about this publication is it’s my first interaction with royalties. I put a lot of time and effort into writing short stories and it’s not often that I see much in the way of monetary reimbursement. Now I don’t write fiction with money as my starting goal, but I am certainly happy when I can make some (who isn’t?). 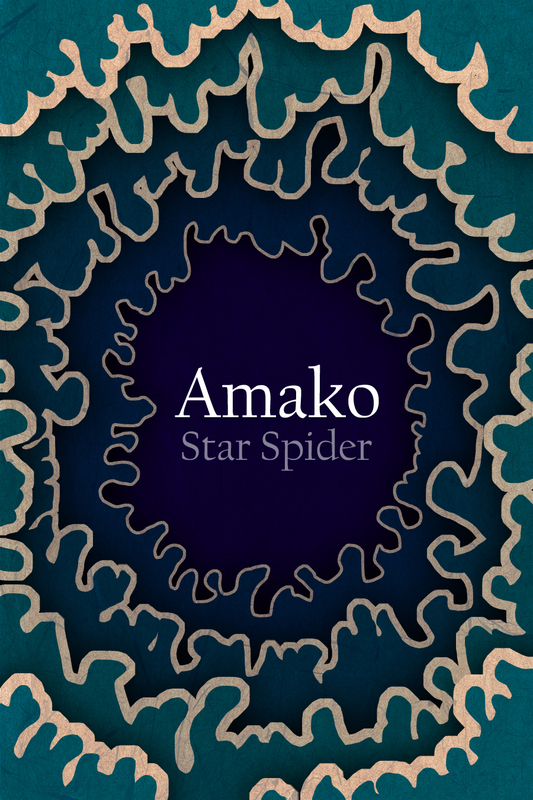 So for the very first time I can say that with the purchase of either a subscription to Found Press or the purchase of Amako, you will be supporting me directly (and Found Press’s continued publication of great fiction)! I was inspired to learn more about Ama (Japanese pearl diving women) when I read an article by a photographer who went home to Japan to document their lives. I can’t find his article now, but I wanted to link to some pictures that were similar to those that inspired me.